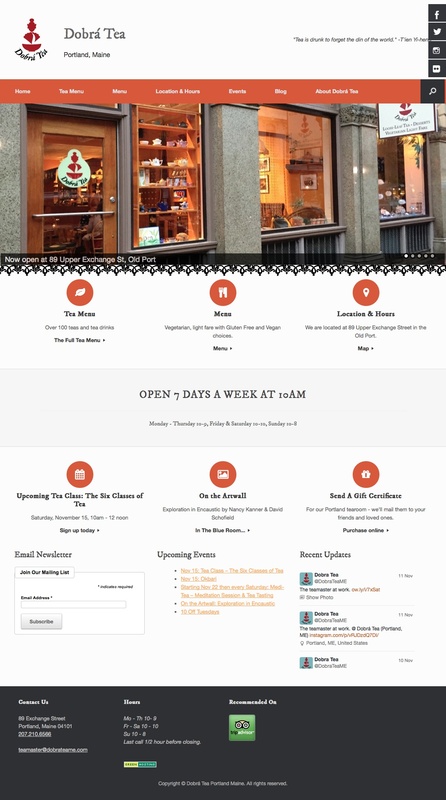 After 3.5 years of a non-responsive WordPress site, the website for Portland’s beloved teahouse was redesigned adding in an e-commerce component. New design and updated functionality, all to work as well on a mobile device as on a tablet or laptop. Also connected the ability to purchase gift certificates, purchase tea and sign up for and register for tea classes through Square Market.